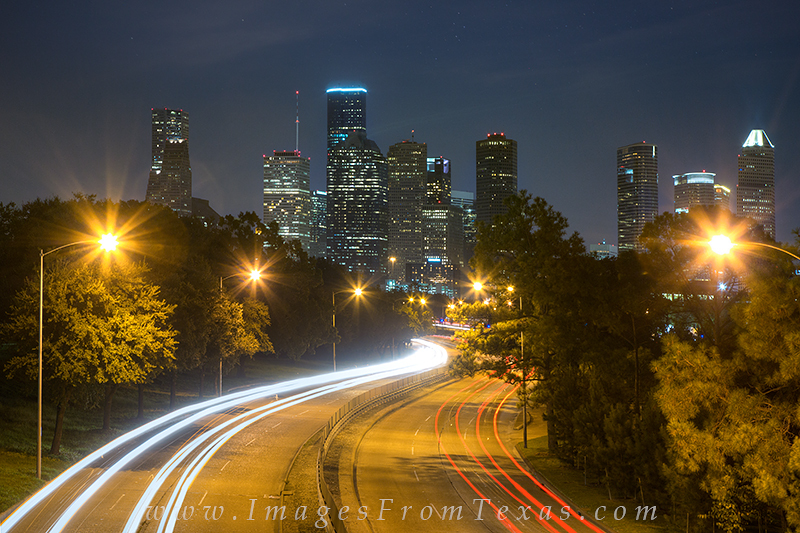 A long exposure allowed me to capture the movement of traffic along Memorial Parkway in the shadow of downtown Houston. Hopefully most of these folks were going home! Photo © copyright by Rob Greebon.